Klikk i bildet for norsk versjon. Click in the graphic to see the Norwegian version of this page. About me, a result of Torsvik/Hetland, Holm/Berg, Hembre/Røkkesaunet - Briefly about me, my grandparents, great grandparents, and my mother, along with a request for help with Wold and Sandboløkken. Some of my other Rogaland and Trøndelag Surnames with links to others on the Internet whose ancestors tie in with mine. Database - Last updated July 27-2004. The Old Family Album - Pictures of my ancestors and other family pictures. Picture Index - Links for viewing each picture individually. Genealogy links - A long list of useful links, including several web sites that are helpful for Norwegian genealogy research. Maps - Find a place in Norway (a section of my Links page). I was born in Skien, Norway, lived for a couple of years on the Arctic island of Svalbard, grew up in Hegra in Nord Trøndelag, graduated from High School in Sarpsborg, found my American husband in Stavanger, Norway while I was working as a secretary for Phillips Petroleum Co., got married in London (at the Norwegian Seamen's Church) where we lived for a while before spending six months in Bartlesville, Oklahoma. Next stop was Lima, Peru for a little over a year, then lived in Stavanger again long enough to have our two children, who spent eight of their childhood years in Aberdeen, Scotland. After yet another three years in Stavanger, we ended up in Bartlesville where our long standing Aberdeen record of eight years was beaten. We came to Bartlesville in the summer of 1992, then moved in Nov.-2009 to Sackets Harbor, N.Y. You could almost say I have become international like my children! My full name is Åse Siri. My maternal grandfather, Andreas Wildner Torsvik came from Torsvikvågen (Dønna, Helgeland which is now Nordland county). Andreas Torsvik ran the Hegra dairy from 1929 until he died in an accident at the dairy in 1947, before I was born. My mother's mother, Sigrid Kristine (Martinsdotter) Hetland originally came from the farm Hetland in Høyland, near Sandnes in Rogaland county. In the fall of 1938 there was a big family reunion at the farm. Does anybody know who wrote this poem for the occasion? (it's in Norwegian - picture included). The reunion was arranged by Martin Luther Hetland who had emigrated to America, so I assume there will be descendants of him here in the US. I was raised by my grandmother (in Hegra) as both of my parents were at sea when I was growing up. Conrad Lauritz (Olsson) Holm was born on the cotter's farm Holmstrøen in Hegra, Stjørdal, N. Trøndelag county, and was a merchant and a poet. He published several short stories and poems, among them a collection of poems under the title "Heimlokk" which came out in 1909. One of the poems from the book, Et hjem, was written in memory of his childhood home (in Norwegian only). I translated one of his poems, Vaar, which means Spring into English and gave it to my son for his High School Graduation. My grandfather also spoke very strongly against the abuse of alcohol, and was a dedicated spokesperson for the plight of the Lapplanders, all of which is evident in his writings. He died in 1943, while my father was still in Africa. 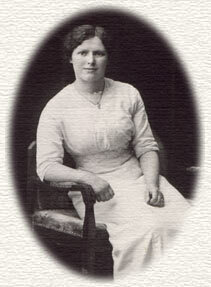 My father's mother, Anna Olava (Johansdotter) Berg came from Frosta (Bergsve). Her mother was adopted, so I don't have much on that branch, but she may have been the illegitimate child of Anton Gudmundson Vika and Lorentse Andreasdotter Grønsve. Her stepmother's name was also Anna Olava, in other words, she named one of her daughters for her stepmother. Conrad Lauritz said goodbye to Olava in a letter before he died, which I've included, along with a picture of the two. 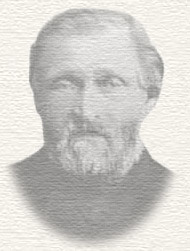 Conrad's father, Ola Markusson Hembre came from the farm Nedre (lower or nether) Hembre in Hegra. 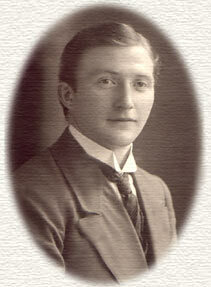 He later went by the name Ola Holmstrøen, taken from the cotter's farm he lived on as an adult, hence the family name Holm in the next generation. 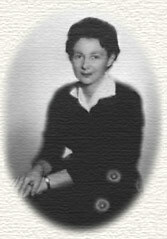 His wife, Karen Jakobsdotter Røkkesaunet was from Skatval. My database has quite a bit of information on these branches. Three of their children emigrated to America in the 1880's, and recently I have found the descendants of one of them, Johan Holm, through the Internet. These newly found cousins of mine in Dell Rapids, South Dakota have kept well over 200 letters for many years, written by Ola's and Karen's children (including my grandfather) to brother Johan, or John as he called himself in the U.S. I have translated these letters into English for my "new" cousins, and they are now available online at A shoebox of Norwegian Letters (they have been kept in a shoebox all these years, hence the title). They provide quite a bit of new information which I added to my database as I was working on them. The earliest letter was written in 1911. I had so much luck with John I'm now trying to find the descendants of John's sister, Anna Lovise (Holm) Wold here in the U.S. Her husband was Anton Wold, and they had 11 children (2 died in infancy). They lived most of their married life in Jasper, Minnesota. 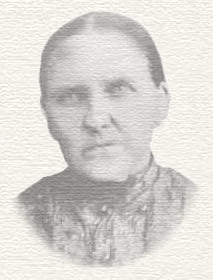 Anna emigrated from Hegra around 1881/82 at age 18 and settled in South Dakota at first, where she and Anton married in Sept. 1882. Anton Wold was born in Trondheim in 1859 and died in Jasper, Minn in 1917. He came to America in 1882 and settled in Dell Rapids but moved to Sioux Falls shortly after he and Anna were married, then to Jasper around 1889 or possibly 1891. The descendants of Anna and Anton are probably scattered all over U.S.A., some may be in Hawaii. The girls, Hilda, Hattie and Cleo married Judd, Viet and Wolverton. Cleo may have been married twice, second husband a DeVreede. The boys' names were Oscar, Leonard, John, Granville, Olaf and Edwin Wold. The year after Anton had died Anna married Ole Øihus. If any of my missing cousins recognize these names, please get in touch! John's and Anna's brother Olaf, the oldest of the Holmstrø children and the first to go to America, died in a flu' epidemic in Minnesota in 1888, leaving a one year old daughter, Alma, behind. About ten years later his widow, Karoline Sandboløkken from Fron in Gudbrandsdalen married his brother, the above mentioned John Holm. In the Norwegian census records on the Internet I've found Sandboløkken under the farm Sandbo in Fron, so I assume that's where Karoline's father came from. Her father's name was Johannes Peterson Sandboløkken, and her mother was Anna Urtregen. Karoline was 1 year and 10 months old when she came to America so they must have emigrated very late in the year of 1867. She was baptized in Fron. Her siblings can be found in my database. Like my father my mother, Åse (Torsvik) Holm was at sea for many years, in the early years as a galley maid. In 1958/59 she attended Radio Officers' School in Kristiansand and then sailed as a Radio Officer for several years before remarrying around 1966 and having my brother Thomas Nilsen. (I also have two younger siblings from my father's second marriage). Sadly, she died in 1988. Here is a list of the ships she worked on and pictures of them. From the time I was around 5 my grandmother would put me on a plane and send me off to different parts of the world (only now do I fully understand how frightening that must have been for her) so that I could visit my mother; I often went with her to places most kids my age had never even heard of. I made many friends on board, and would love to get in touch with some of them again. On my page "Picture Index" under the title Åse Holm and Siri I've included links to pictures of some of the people I met on board her various ships. If you, or someone you know sailed with her, please contact me via the contact address at the end of this page. I have written about my father separately on the page entitled Odd Conrad Holm. Alsnes, Auestad, Austrått, Berge, Bjelland, Brekko, Edland, Eidland, Eikeland, Espeland, Frøyland, Gilje, Gjeitreim, Gjesdal, Hadland, Hareland, Haukamork, Helland, Hetland, Hognestad, Hogstad, Håland, Kluge, Kydland, Kylles, Kyllingstad, Kråkedal, Lima, Lomeland, Madland, Malmeim, Myklabost, Nevland, Nordland, Nordås, Oftedal, Rage, Ravndal, Skjelbrei, Skjveland, Stangeland, Svihus, Sviland, Tjetland, Tjesseim, Tveit, Vagle, Vatne, Vølstad, Ålgård, Årreberg, Åreskjold. Aas, Aasan, Aatlo, Almli, Alstad, Alstadhaugen, Arnstad, Auran, Berg, Bergsve, Bjørngård, Børstad, Dybvad, Ertsgård, Forbord, Fuldset, Havdal, Hemre (Hembre), Hofstad, Holm, Hoset, Håve, Ingstad, Karlsve, Klokhaugen, Meadalshammer, Moum, Trones, Trøite, Sagnes, Skogsetve, Smågård, Stuberg, Sveinsvoll, Ven, Vikagrinda, Viktil, Øfsti. An article by John Leirfall, who happened to be my friend's grandfather. Arne's ancestors are from Trøndelag. Includes farm history for Langås in Åsen. (In Norwegian and English). Terri has ancestors in Hegra and Stjørdal and many other areas of Norway. Her database also includes ancestors in Ireland, France, Germany and U.S.A.